If you've been following my story for any amount of time, you'll know that I have had great success very early in my blogging career. In just my second year of blogging, I had been featured on International Business Times (twice), MarketWatch, Lifehacker (twice), flown out to the Fidelity headquarters in Boston for consulting, became a contributor for Elite Daily, gained 14 thousand 15 thousand Twitter followers, and actually created monthly income from this site. I contribute a lot of that success to a single blog coaching session that I had very early on. That small investment has now paid for itself MANY times over when I was able to monetize M$M. This website is now a great supplement to my income, and my life has been changed forever because of it. Now I work online full-time, and have a better quality of life than I could have ever imagined! I want to help other people achieve the same, so I am now offering blog coaching sessions for people who want to make huge strides in their blogging game quickly without relying on luck. Social Media – I'll teach you how to use social media to grow your blog quickly and gain mentions by important websites/publications. In addition to running this site, I also own a digital marketing company that specializes in social media advertising! Monetize your blog – Making money from your blog isn't easy if you don't have a great plan. I'll teach you how to negotiate sponsored post prices, choose affiliate programs that actually work, and sell your own services on your site. Web Design – Creating a design that converts visitors into quality readers is key! I will evaluate your design, share the tricks of the trade, and can advise you on themes/platforms that will serve you best over the long-run. Please note, I do not provide design services, but I will steer you in a great direction! Find Your Voice – One of the most important parts of running a successful blog from the start is finding what type of voice you'll have. I'll teach you to find a voice like I have that helped me stand out in the blogging game early on. Set Up Your Site – I can help you with website hosting, WordPress installation, Plugin selection, and more. 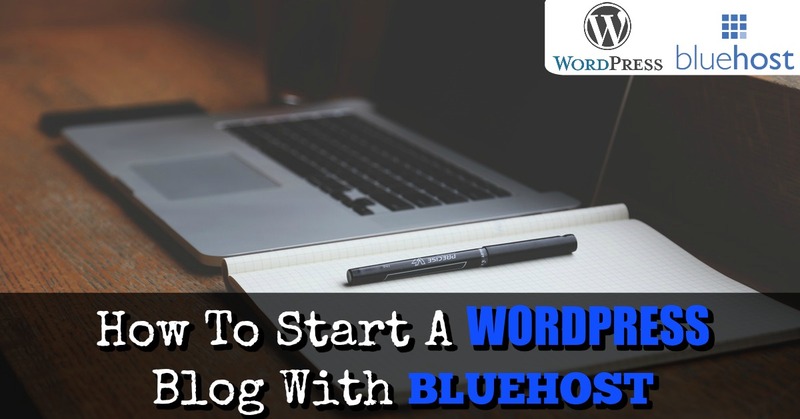 If you are a DIYer, you can also check out my how-to post on creating your own WordPress blog through the picture below or go ahead and set up your website hosting for only $3.49 a month here through my exclusive link! As a former teacher (with an actual education degree), I believe that education is the key to success in anything you do! If you're interested in making money online and would like honest guidance – shoot over an email using my contact form below.